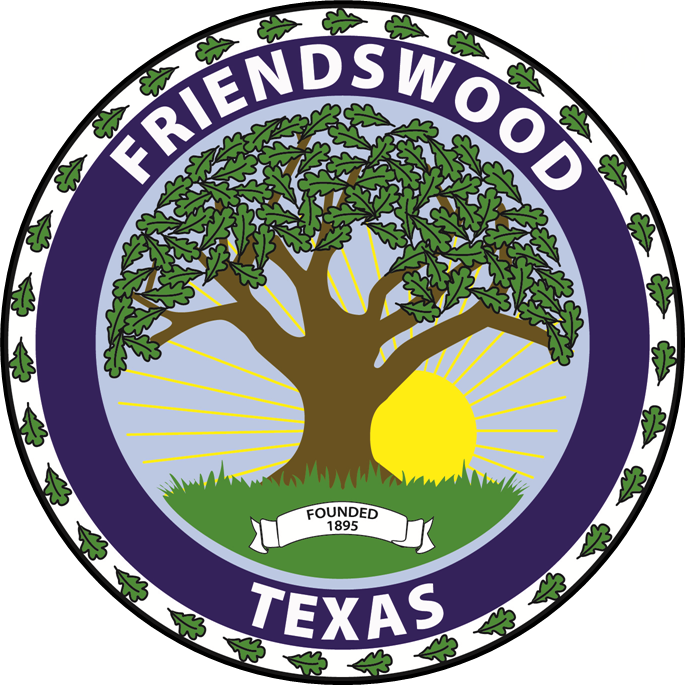 The 124th Annual Friendswood July 4th Celebration will take place on Thursday, July 4th. The Grand Parade will begin at 10:00 a.m. at the corner of Heritage and Friendswood Drive and conclude at Stevenson Park. The day program will be held in Stevenson Park form 9:00 a.m. until 3:00 p.m. The Evening Program at Centennial Park will start at 7:30 p.m. and will end with an extravagant firework display at 9:20 p.m. There is no public parking at Centennial Park. Free Shuttle Buses from Friendswood High School and Friendswood United Methodist Church will be running, beginning at 6:30 p.m. The Day Program at Stevenson Park, 1100 S. Friendswood Dr., immediately follows the conclusion of the parade. Families can enjoy rides, games food, and musical entertainment until 3:30 p.m.
An All-Day Wristband Ride Pass may be purchased for $15 in the Parks & Recreation office at City Hall, 910 S. Friendswood Dr., from, June 18 through July 3. This wristband will be good for the day program in Stevenson Park and evening program at Centennial Park to ride the amusement rides. Wristbands for amusement rides may also be purchased on the day of the event for $10 each (cash, Visa, Mastercard, and Discover accepted). Admission into the park is free, wristbands are only required to ride amusement rides. The City of Friendswood and the 4th of July Steering Committee is now accepting booth applications for the 124th 4th of July Celebration. Booth applications can be submitted online here. Vendors will be contacted within 3-5 business days of submitting an application to inform them if their application has been approved. Once approved, all payments are due no later than May 31, 2019. The parade will begin at 10 a.m. on Friendswood Dr (FM 518) at Heritage Dr. and end at Stevenson Park. Friendswood Police will be shutting down FM 518 at FM 2351 and FM 518 at Whispering Pines at approximately 9:45 a.m. All vehicular traffic will be stopped with barricades on all of the secondary streets between FM 2351 and Whispering Pines until the conclusion of the parade. To participate in the parade, please fill out the parade application below. There in no cost to participate in the parade. Each entry will be allowed to participate in one category. All entries, except Decorated Bicycles, will be eligible for the Special Judges Awards. Trophies will be awarded for first, second, and third places for categories 1 through 4. Participation medals will be awarded for second and third place in categories 5 through 7. Special Judges Awards will be awarded for BEST OVERALL. -Friendswood High School, 702 Greenbriar Drive. Shuttles to Centennial Park run from 6:30 p.m. to 8:45 p.m.
Pets and open containers are not allowed on the shuttle bus. Large coolers are not allowed on the buses. They must be able to fit in your lap. An All-Day Wristband Ride Pass may be purchased for $15 in the Parks & Recreation office at City Hall, 910 S. Friendswood Dr., from, June 18th through July 3rd. This wristband will be good for the day program in Stevenson Park and evening program at Centennial Park to ride the amusement rides. Wristbands for amusement rides may also be purchased on the day of the event for $10 each (cash, Visa, and Mastercard accepted). The fireworks show begins at approximately 9:20 p.m.
Beginning Monday morning, July 1 at 8 a.m. there will be parking restrictions in place for the Lakes of Falcon Ridge subdivision for both residents and non-residents. Parking will be limited to one side of the roadway for all streets in the subdivision. Vehicles blocking the roadways will be towed at the owner’s expense. Compliance will be strictly enforced by Friendswood Police from Monday, July 1 at 8 a.m. until Friday, July 5 at 8 a.m. There are also temporary parking restrictions from Monday, July 1 at 8 a.m. until Friday, July 5 at 8 a.m. on both sides of FM 518 between Eagle Lakes Drive and Old Road and on Falcon Ridge, between Hawkhill Drive and West Blvd. There will be regular Wednesday trash and recycling pick-up in Friendswood on Wednesday, July 4. For your safety, in preparation for and after the July 4th evening program, all of Centennial Park will be closed June 24 through July 6. On July 4, Friendswood Police will be shutting down FM 518 at FM 2351 and FM 518 at Whispering Pines at approximately 9:45 a.m. All vehicular traffic will be stopped with barricades on all of the secondary streets between FM 2351 and Whispering Pines. The Parade begins at 10 a.m. and usually takes 45 minutes. The Fire Marshal’s Office reminds residents that fireworks are illegal to use or possess within the City limits. A free. professional, public fireworks display, permitted by the Friendswood Fire Marshal’s Office, begins at Centennial Park at approximately 9:20 p.m.
Fireworks are illegal inside the City limits but are sparklers considered fireworks? Yes and no. Any product labeled with a 1.3g or 1.4g is considered a firework and is illegal within the City limits. Generally speaking, sparklers sold in party or big box stores are not labeled with a 1.3g or 1.4g while products sold at fireworks stands almost always are.